The 2014 McDonald’s Texas Invitational kicks off Nov. 20, and one Pasadena businessman and civic leader couldn’t be happier. BAHM: What prompted you to create a tournament like this? I thought about it for several weeks, then decided to ask our Chamber of Commerce, the school district and City of Pasadena to get behind something that would benefit the kids in our district and showcase good things about our schools and city. The Pasadena Chamber gave me 20 minutes on its agenda to describe the idea, and voted to sponsor the tournament. BAHM: What did you envision this tournament would grow to become? Meador: I knew that, if we could attract the best basketball programs in the state, the event would grow. It has evolved along the way to become one of the largest tournaments in the nation, and also one of the most competitive. In 2005 we asked McDonald’s to be the naming sponsor and make a major commitment. Since MacDonald’s sponsors the high school All-American game each year, it has national credibility. BAHM: Can you identify a “defining moment” that helped the tournament achieve a greater significance? Meador: If I could name just one defining moment, it probably would be when we decided to donate all the profits back to education. In 11 years, this tournament has donated more than $1 million dollars to education. In 2012, it gave $165,000 to the PISD and $82,000 to the Deer Park ISD foundations. We like to say that the Invitational highlights athletics and benefits academics. BAHM: What is the financial impact of the tournament on the area? Meador: In 2012, Chad Burke, head of the Houston Port Region Economic Alliance, said the economic impact was $2.4 million. During the tournament weekend, many of our hotels and motels are full, eating establishments are humming with activity, and our retail businesses are seeing increased business. BAHM: Likewise, what was the greatest challenge or difficulty you have faced since the start? Meador: The greatest challenge has been keeping up with the growth of the tournament. We operate on a strict budget, and costs tend to increase each year. Major costs include lodging and travel for out-of-town teams that amounts to about $45,000 annually. Other challenges are expanding our sponsor base, adding and training new volunteers, and exploring improved methods of marketing and promoting the event. Most of the revenue comes from sponsors. Other revenue is derived from ticket and t-shirt sales. Three years ago, Jack Bailey, PISD Board of Trustees president, started the Texas Invitational Golf Tournament that raised $30,000. Total revenue this year will exceed $300,000, and we are confident we will establish another record for the donations we are able to give the foundations. We have never failed to break the previous year’s record. BAHM: Does one particular team or game standout as a personal favorite? Meador: The best game we have had in this tournament thus far is the Gold Division One championship between Duncanville and San Antonio Madison in 2006. 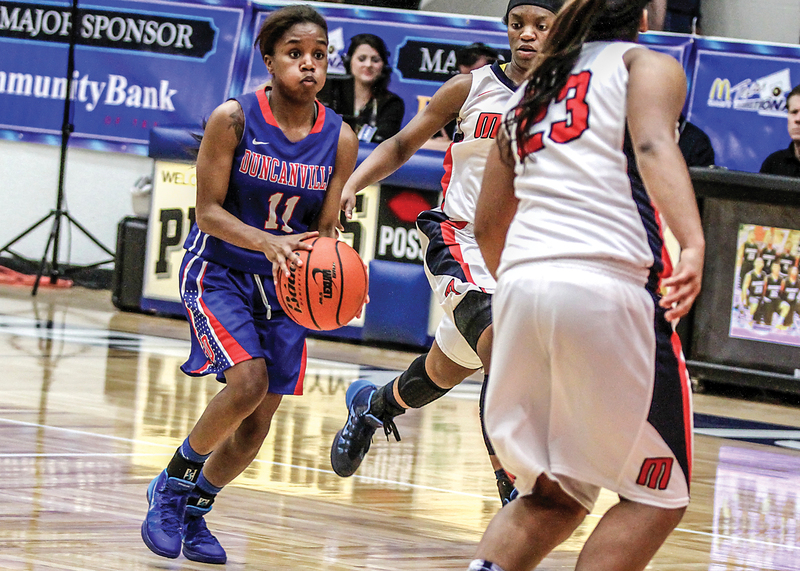 Duncanville came into the tournament year as the No. 1 ranked team in the nation. 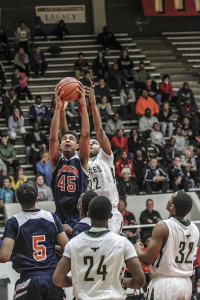 It had three players who had committed to Division One colleges. San Antonio-Madison took them into two overtimes and beat them. It was a tremendous game. To learn more about the 2014 McDonald’s Texas Invitation, including locations for each game, visit www.texasinvitational.com.